Hello, fellow blog readers, I want to first apologize for being MIA. Here’s an outfit from a few days ago that I have not had the chance to post. As always, the weather here in Colorado has been ever-changing. 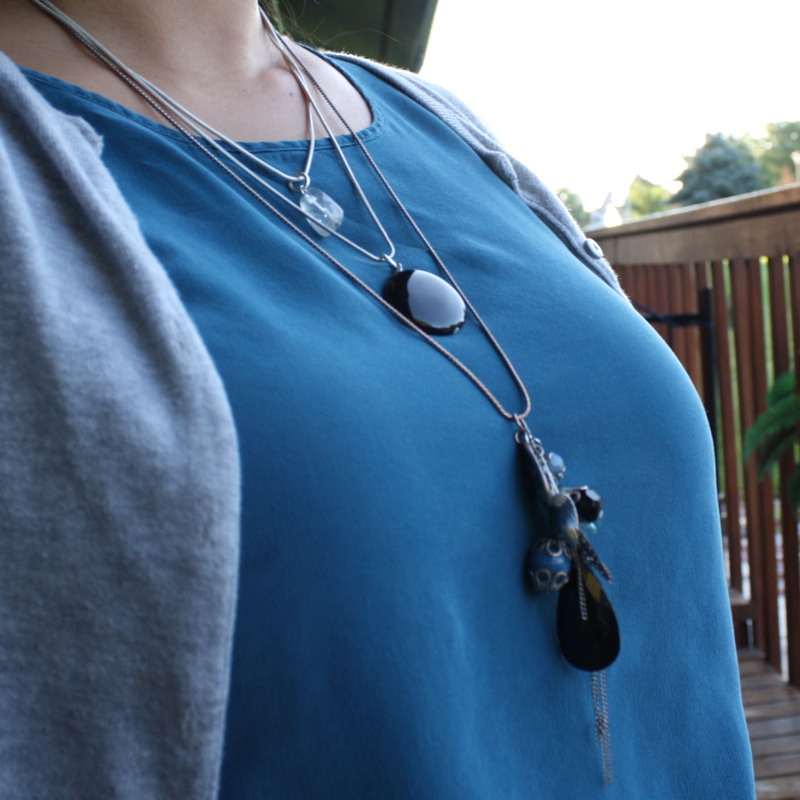 I’ve been in cardigans a lot more lately so that I can keep myself comfortable in the air-conditioned office (brrrrr….). It’s always like an ice box in the office, but whenever I done for the day, I walk into 90° weather. The family and I are heading to our local Denver Zoo this weekend so I will definitely post pictures on Monday or so. Maybe you might just get lucky and my boys will show up on a few of them. Hello, blog readers, follow me on Facebook. I will be randomly posting things on Facebook that will not be shown on my blog. Check it out. Thank you! Happy Thursday, blog readers. I trust you had an awesome 4th of July with friends and/or family. Today’s post is a bit random, but I thought I should share my opinion. This, I believe, is a letter every blogger would like to write. And of course those pinners who are like me. Before I re-pin a pin, I always click on it to make sure it takes me to what it is that I want. For example, a picture of an awesome cupcake better take me to the recipe, not Google. Google is a great tool believe me, but how am I supposed to find that delicious cupcake to make if I don’t get to the recipe? 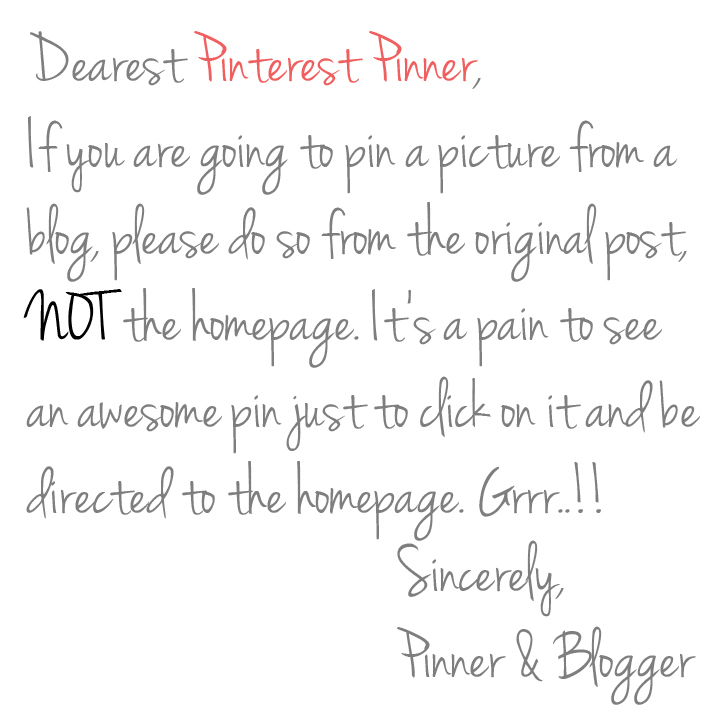 Anyway as a Pinterest pinner and a blogger, I love to pin, but I hate it when I click on the pin and it takes me to the blog homepage. Hello, I wanted to check out that awesome DIY trick on how to make DIY colored soles (here’s my version), or how about that marble nail polish trick, but WHAAT??? I am directed to a homepage and I don’t want to dig through it to find a post that could have been 2 months old. Granted, some blogs are great and you can filter, but who wants to take the time? No one. Unless you’re absolutely desperate. So, thanks for reading and let me know what your thoughts are. Happy Tuesday to everyone. I trust that you had a great Monday and Tuesday. Enjoy the 4th of July and be safe.